This was a fantastic Lenten Friday dinner. Made with Colavita capellini nests, the impromtu recipe will be made again and is “better than Ramen”, so sayeth the Fifteen Year Old Gamer Son. Mix the first four ingredients and bring to a rolling boil. Lower to medium heat and add the nests to pasta. Avoid stirring too much. 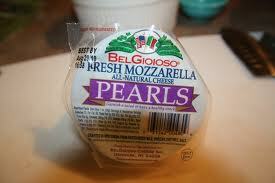 Ladle into bowls, add mozzarella pearls, garnish with shredded Parmesan if desired, add toasted slices of bread. And I believe tonight is a genuine FIRST. 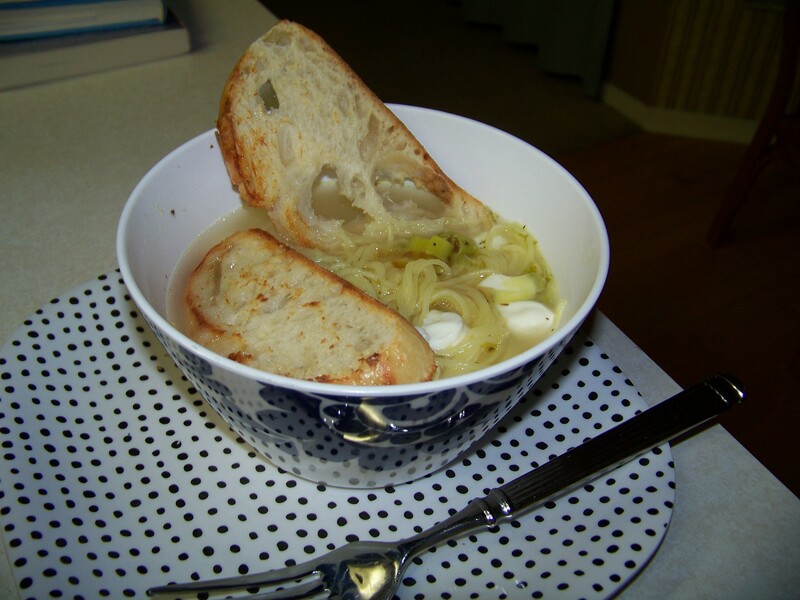 Tonight’s soup was the first time ever in 15 years while I have been cooking for my kids have my children openly acknowledged something I made bested something they eat out of a cellophane wrapped package. I am well pleased, surprised and gleeful. I beat Ramen noodles. Yippee.